If you only have one tablet in your home, it’s possible that lots of people use it. Perhaps your children use it during the day to get their latest fix of cartoons, your partner does a spot of online shopping in the evening, or your dog secretly watches videos of cute cats all night. Okay, that last one was a joke. Whatever the reason for wanting multiple accounts, the good news is the Android operating system now makes it easier than ever. So how do you make multiple accounts? Are there any caveats you need to be aware of? And how can you manage all the users once you’ve made an account? Keep reading to find out. What Versions of Android Have the Feature? If you’re trying to add multiple user accounts to a tablet, the device needs to be running Android 4.2 Jelly Bean or later. If you’re using a phone, you need to have Android 5.0 Lollipop or later installed. It’s also worth mentioning that some manufacturers Android Skins Explained: How Do Hardware Makers Change Stock Android? Android Skins Explained: How Do Hardware Makers Change Stock Android? Hardware makers like to take Android and morph it into something that is entirely their own, but is this a good or a bad thing? Take a look and compare these different Android skins. Read More have disabled the feature entirely. If you have an old device and the newest versions of Android aren’t available, or if the manufacturer has restricted the feature, you can try a third-party app. The best one is arguably SwitchMe. It was the go-to app for multiple accounts before it became a native feature of the operating system, and it’s still going strong. The drawback is you need to have a rooted phone The Complete Guide to Rooting Your Android Phone or Tablet The Complete Guide to Rooting Your Android Phone or Tablet So, you want to root your Android device? Here's everything you need to know. Read More for it to work. Creating additional user accounts on a stock version of Android 7.0 7 Reasons You'll Want to Upgrade to Android Nougat 7 Reasons You'll Want to Upgrade to Android Nougat If you're thinking about making the jump to Android 7.0 Nougat, maybe these features could convince you. Read More is a pretty straightforward. To begin, you have two options. The easiest way is to swipe down with two fingers from the notification bar, tap the Profile icon at the top of the screen, and then hit Add User. Alternatively, you can head to Settings > Users > Add User. Regardless of which method you choose, your device will prompt you to confirm that you want to add a new user. Tap OK.
After a few seconds, you will see a blank sign-in screen. Swipe up, hit Continue, and the phone will spend a few minutes checking for updates. Once the update process is finished, you’ll be asked you to fill in the new user’s details. If the new user has a Google Account, they can use their email address and password to sign in. If they don’t, you can either create one from the sign-in screen or skip the process entirely. 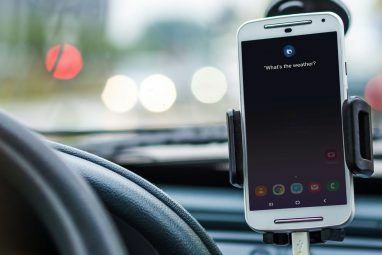 Making a new user without a Google Account has some restrictions — the person won’t be able to download content from Google Play or backup their content The Best Backup Software for Windows The Best Backup Software for Windows Your data is fragile – it only takes one small accident to lose everything. The more backups you make, the better. Here we present the best free backup software for Windows. Read More to Google’s servers. That’s it. You’ll now see the default Android homescreen, and the new user can start customizing their experience. 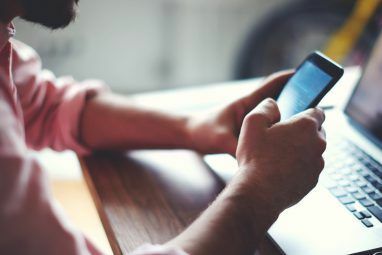 If you’re sharing your device with an adult, you might want to let the other person make phone calls and send messages — but that’s disabled by default. To enable it, you need to return to your master account. Swipe down with two fingers on the notification bar, tap the Profile icon, and then tap your own username. Next, head to Settings > Users and tap the Gear icon alongside the secondary user’s name. From there, slide the toggle next to Turn On Phone Calls and SMS. Removing users from your device is even easier than adding them. Ensure you’re logged into the main account and once again head to Settings > Users > Gear Icon. Tap Remove User, and the device will delete the profile and associated data. There are some limitations associated with adding extra users to your device. For example, every user has their own space. They can use it to customize themes Impress Your Friends and Shame Your Enemies With 6 Stunning Android Themes Impress Your Friends and Shame Your Enemies With 6 Stunning Android Themes Custom themes can turn your phone from boring to awesome in minutes, it just takes a few configuration tweaks and apps. Recently, I raided the Reddit subreddit, /r/androidthemes, for some of its latest and best... Read More , apps, and wallpapers — but they can also save data like music, photos, and videos. That sounds great, but if your soon-to-be-added user is a little overzealous with downloads a lot of content or takes a lot of photos, they can quickly burn through a lot of your phone’s storage space. 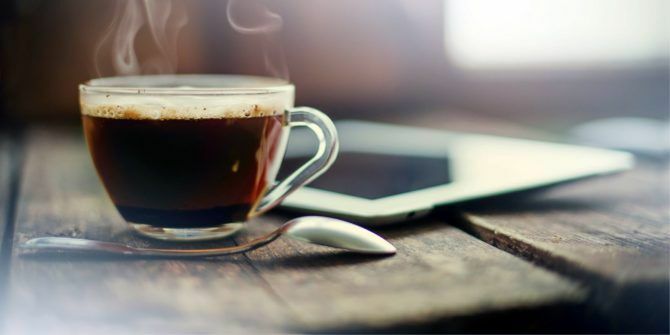 If your device’s memory is on the small side — for example, only 16GB — it can become a problem very quickly. Similarly, if you’re often getting a “memory full” message and find yourself constantly deleting old photos to make room, you could encounter issues. Secondly, any user can update the device’s apps. Those updates will affect the app for all users. If you’ve deliberately been avoiding an update for any reason, one day you might find it’s been updated without your permission. 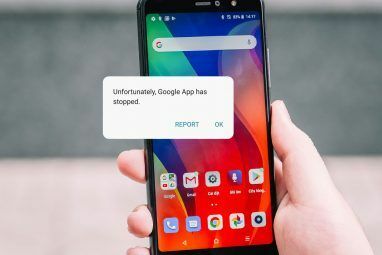 Rolling back an app to a previous version quickly leads you into the murky world of APKs and side-loading How to Sideload Any File onto Your Android Phone or Tablet How to Sideload Any File onto Your Android Phone or Tablet You may have come across the term "sideloading" before, but what does it mean? And how can you go about sideloading apps or files? Read More , neither of which are easy concepts to grasp for someone who’s not tech-savvy. If adding multiple accounts isn’t right for your situation, you have two more native options available. Pinning apps is a great option if young children will be using your device Top 5 Android Games To Entertain Toddlers & Young Children Top 5 Android Games To Entertain Toddlers & Young Children Ever been stuck in a situation where you needed to keep your children entertained for long spans of time? These apps can help with that. Read More . If you set up the feature correctly, the only way to unpin apps is by entering a PIN. To pin an app, you first need to ensure the feature is turned on. Head to Settings > Security > Screen Pinning and set the toggle to On. The device will then ask you whether you want to PIN-protect pinned screens. Again, make sure the toggle is in the On position. To pin an app to the screen, fire up the app in question and tap the Recents button (the square button in the navigation bar). Swipe up from the bottom of the screen, and you’ll see a pin icon in the bottom right-hand corner. Tap it. To unpin a screen, press and hold Back and Recents at the same time. The phone will throw you back to the lock screen, where you’ll then be prompted for your system-wide PIN code. If you need to give your phone to someone from a few hours but don’t want them to have access to all your data, you could put your phone in Guest Mode. It’ll keep all your apps, photos, and other files safe from prying eyes. To enable Guest Mode, swipe down on the notification bar with two fingers, tap the Profile icon, and then hit Guest Mode. As with new users, you’ll need to explicitly allow guests to make calls and send messages. Do You Use Multiple User Accounts? In this article, I’ve shown you how to add multiple user accounts, introduced you to a third-party app in case multiple accounts are not available on your device, and shown you how to pin screens and add guests in case multiple accounts aren’t right for your personal situation. I’d love to hear your input on multiple user accounts. Have you used the feature? Do you think it’s effective? Or do you think multiple user accounts are unnecessary on mobile devices? Originally written by Chris Hoffman on May 13th, 2013. Explore more about: Android, Android Tablet, Android Tips. I just bought my husband his own tablet. It was a lot less hassle than trying to explain using mine. My tablet is running on android 4.4.2 but I don't have the option to tap on user, there is no option to tap on. Anyone know why this is? My girlfriend logged herself in first when I brought it home so she is considered to be the Owner. However I bought it and I would like to have the ownership rights and options bestowed to the owner. How can I make myself the owner and her a user? I've Android 5.01 - How do you get the start screen where one can select the user (see the last screenshot above, with the padlock). I have a PIN for the owner (me) and no PIN for the guest. Got to drag an invisible bar at the top of the screen to make the icon for the guest user visible, click on that to switch to the guest. My tablet then switches off and I've got to power it on again to get to the user. It would be nice if there was a screen (like the above) at first launch. I have Samsung Tab A, 5.02 andriod version, but there is no option of users in the setting. What's the issue? Can you re-assign the owner status to a different account? Have you got the answer yet? I left a comment: My girlfriend logged herself in first when I brought it home so she is considered to be the Owner. However I bought it and I would like to have the ownership rights and options bestowed to the owner. How can I make myself the owner and her a user? The first thing I did when I got my 4.2 tablet was set up a restricted"guest" account. Anyone wanting to use my tablet to look something up, read, watch a movie... Feel free. Anything more than that.. Get your own! I also have the Sero 7 Pro running 4.2.1 but no "user" option in settings. If I could just figure out how to remove the current "owner's" name, and put mine instead, I would be happy. This used to be my husbands tablet, but he gave it to me, and I can't get his name off. If you go to settings and then "Backup and Reset" you can restore the tablet to how it was when it was first bought. Hope it helps! I have 4 users on my tablet, but cannot add a fifth one; the button 'add user' simply isn't there anymore! Is it correct that there is a maximum of 4 users? I believe most actually only allow 3 users, so your tablet must be a step ahead of most ???? ???? I just upgraded my tablet to 4.2.2 and I don't have the 'Users' option, so you're not quite right. I believe there is a system parameter that needs to be changed - that was what I was looking for here. I m facing same issue, after updating to 4.2.2 using kies, users option is not available. Could you solve? I think the multi user feature is always available in 4.2.2, but not necessarily enabled. I have seen something about setting a parameter 'maxusers ?' to the number of users you want. If default is zero in some versions of 4.2.2 then you won't have the 'users' showing up in settings. To change the parameter you need to have 'root' access, which I have not yet been game to attempt. There is a new version of 4.2.2 available for my Onda 801 tablet, but have not installed it yet - may have multiple users enabled. Suggest you ask at the support center for your specific models. It's actually a really good looking product. Interesting. I really don't like the idea of an Android-based PC, though -- we need real multitasking with multiple windows! Very interesting about enabling the support on smartphones. Rumor is it's not enabled on Android 4.2 smartphones (only tablets) because Nokia owns a patent on that. Patents ruin everything yet again. However, the Paranoid Android team is working on developing a multi-window mode AND a tablet mode - so with our N4s we can do 720p out (wirelessly) and run multiple windows off it. That's true multi-tasking! App packages are shared between accounts, but other data isn't (so if both people install a 100MB game, only 100MB of space is used for it, not 200MB).